When setting the stroke width in Designer 1.4.2 and also in 1.5 (beta 10), the width is off by 0.5px. See the screenshot - the width is set to 2 px but the actual width is 2.5 px. 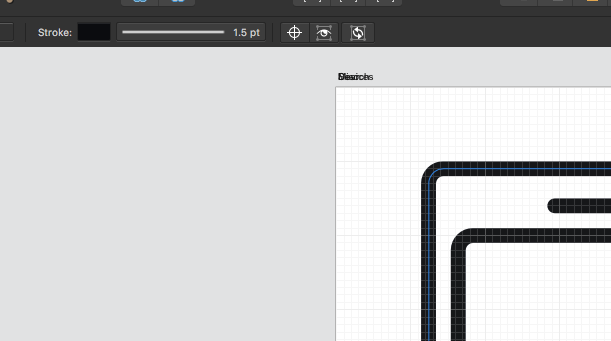 Also, when I open a file that I created in Adobe Illustrator where the stroke width was set to 2px and open it in Designer, the width gets changed to 1.5px! As I'm looking for a good app to replace Illustrator, I hope this gets fixed soon (this bug is unacceptable for me to adopt Designer for now). Looks like to have Affinity set to show show lines in points (pt) and not pixels (px). Ah brilliant! Didn't notice that. Shouldn't this be the default setting? If you select the Web document type the default unit is px. For Devices document type the default unit is pt.